Gain a thorough understanding of the nuanced and multidimensional role producers play in television and new media today. Harness the creative, technical, interpersonal, and financial skills essential for success in this vibrant and challenging field. 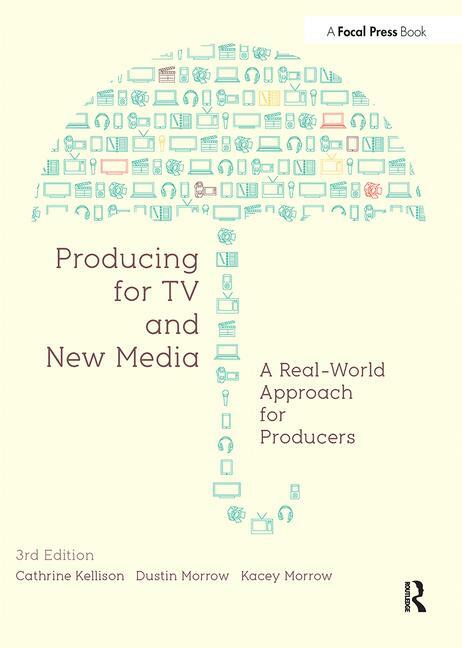 Producing for TV and New Media third edition is your guide to avoiding the obstacles and pitfalls commonly encountered by new and aspiring producers. Written especially for new and aspiring producers, with insight that simply cannot be found in any other books, this new edition is an indispensable guide for anyone looking to find success as a new media or TV producer. What Does a TV Producer Really Do? Cathrine Kellison was a member of the Producers Guild of America, the Writers Guild of America, the Independent Documentary Association, and won numerous industry awards, including two WGA awards for Outstanding Achievement. She passed away in 2009. Dustin Morrow is a filmmaker, programmer, author, and Assistant Professor in the Film program at Portland State University. His short and feature films have won numerous awards and been screened in venues around the world. His photographs have been featured in art and culture magazines as well as solo and group gallery shows. He has directed theatrical productions, programmed film festivals and screening series, and written about film for publications in the U.S. and Europe. Kacey Morrow is an Assistant Professor of New Media Design at Western Washington University, where she teaches motion graphics, digital video, and web and interactive design. Ms. Morrow has years of experience as a motion, print, and multimedia designer in Chicago, and her videos have appeared in several film festivals and exhibitions nation-wide.